I received free product in exchange for my honest review and for this post about Easy Party Snacks for Game Day. This time of year if full of sports, from football to basketball, there is almost always something on our tv. Game Day is also a great excuse to entertain. 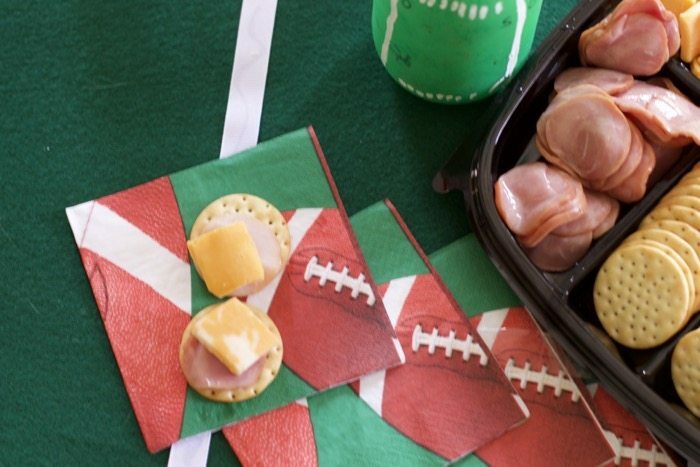 Whether you are headed to a friends or hosting a few folks at your house, we have a super easy solution and Easy Party Snacks for Game Day. Not all appetizers need to be homemade, I mean if you did that you would never entertain. 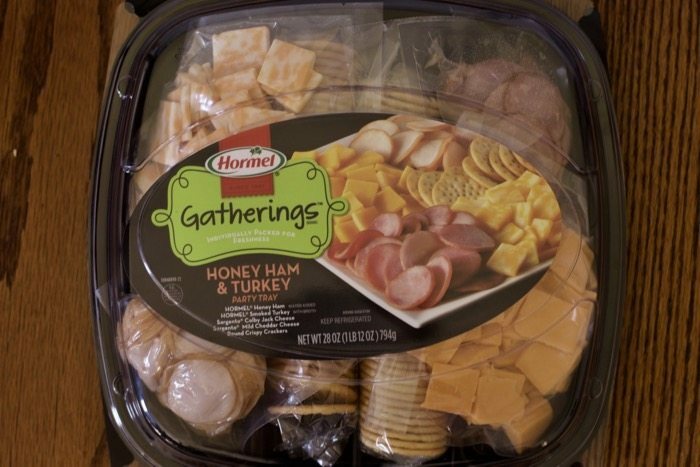 Plus some people just want a super casual setting and picking up a HORMEL GATHERINGS Party Tray is just what you need. This is my first experience with these party trays and I am sold. Our Walmart had several different types and I went wth the Turkey and Ham variety. Whether it is game night at your house or you have overnight guests that need lunch, this is a super solution. I didn’t even bother dirtying another plate. The tray it comes in is perfect for a casual setting and best of all, keep the top so you can just throw it back into the fridge after the party. Each section is individually packed so you know that it is fresh and the flavors don’t meld. Make your house game day ready with some easy handmade items, like this No Sew Football Field Runner and Football jar to hold utensils. 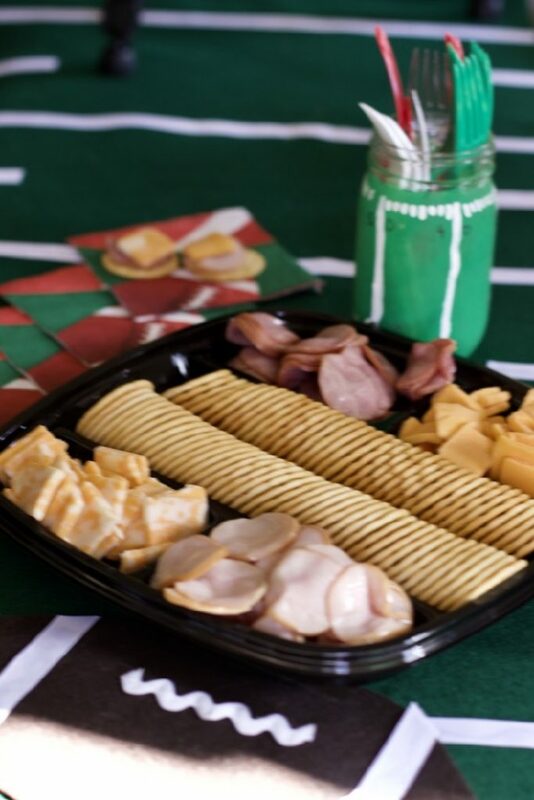 The HORMEL GATHERINGS Party Trays are portable and the perfect snack to send your husband with as he heads out to his buddy’s house to watch some games. Hitting a tailgate soon? This is the perfect snack to bring along too. Of course if you want to have a few easy homemade appetizers on the table consider this crack dip or this Warm Greek Spinach and Feta Gluten-Free Dip . 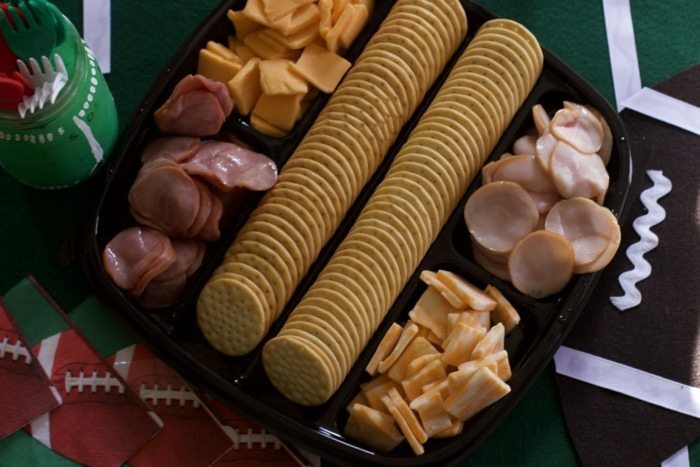 Don’t know if your Walmart carries these party trays, find a store near you. Yes that would not work, I have done that even for my kids lunch and it gets soggy!! Easy party snack ideas are what any hostess needs for the holidays. 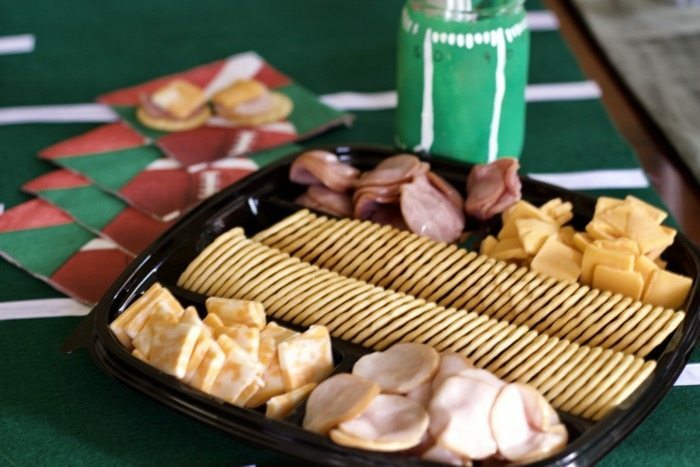 I think the Hormel platter looks delicious and keeps prep time to a minimum. I made the mistake once of putting the meat and cheese on the crackers a day in advance. Lesson learned – the cracker soaked up all the moisture and was a soggy mess! I love this Hormel snack tray. It takes all of the hassle out of a meat and cheese tray. Wonderful. I love little to no prep and easy cleanup. Those trays would also be great for family game nights and movie nights. This is our busy season with lot’s of parties and events, this is a perfect thing to pick up on the way to the party.